You’ll also find Deneen Pottery mugs at specialty retailers all across America. To find a retail location near you, visit their site and click the “Buy A Mug” tab and you’ll see a Retailer drop down. 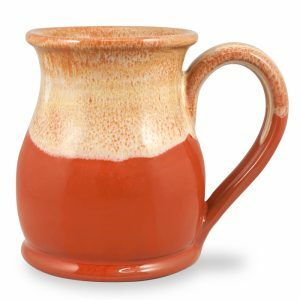 Surprisingly affordable, a Deneen Pottery mug makes a perfect personal gift for any occasion. 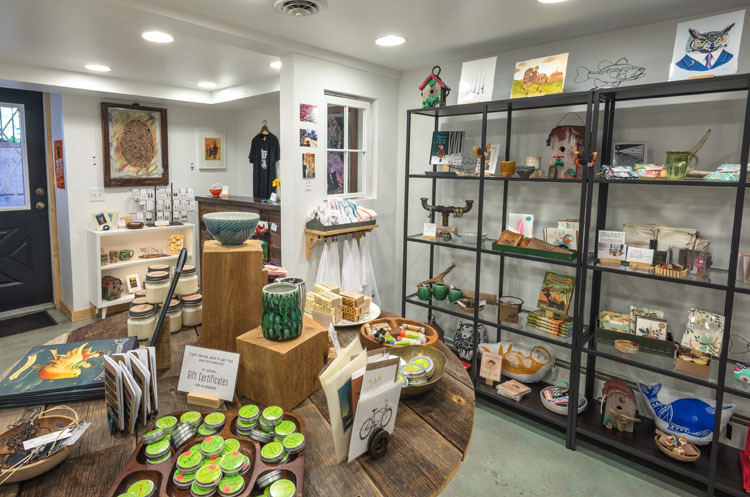 In addition, you’ll discover more hand crafted stoneware at their website … the company also offers tankards, flatware, tableware, and more! Visit the Deneen Pottery website, linked above, to learn about their rich history and to purchase one or more pieces of their quality stoneware for yourslef or anyone on your gift list. Proudly Made In Minnesota! Steger Mukluks and Moccasins: If you’re not from The North Star State, you might be wondering … what’s a mukluk?? Each pair of mukluks are made with durable, flexible treaded rubber soles, ensuring not only comfort but secure footing in even the most snowy and slippery conditions. Their wool felt liners and cushioned insoles ensure flexibility, while allowing your feet to breathe and remain comfortable and dry. They’re available in a variety of styles – perhaps you’ve seen Steger Mukluks featured in a few popular movies set in Minnesota! 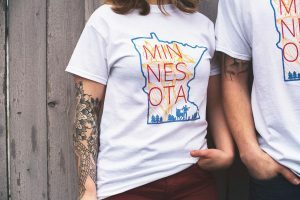 You don’t have to be a Minnesota native to experience the rugged comfort of Wintergreen Northern Wear – they ship all over the country and beyond. 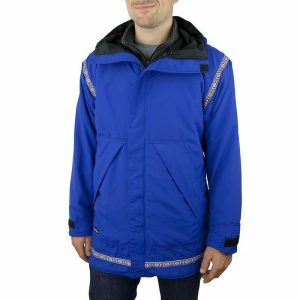 Click through to their website, linked above, to discover some of the best made, long lasting outerwear in the U.S. Now you know what astute Minnesotans have known for over 30 years! 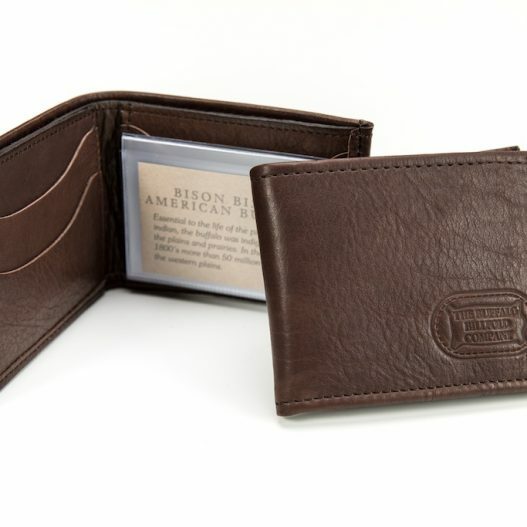 For every day use, choose from Buffalo Billfold Company wallets, belts, card cases, and purses. 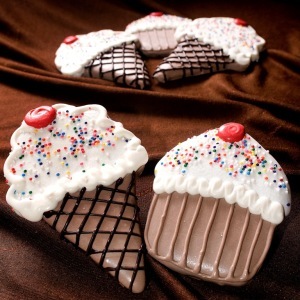 Each will make a perfect gift for holidays, special occasions, or graduation celebrations. Have a musician on your gift list? 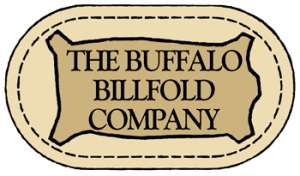 Check out the very cool Buffalo Leather Guitar Strap and matching Buffalo Leather Guitar Pick Case … they’re certain to hit the right note with anyone fortunate enough to be a recipient! Love This Minnesota Reppin’ Tee! While you’re there, be sure to check out more of this rising young talent’s designs, including posters (shown), stickers, and a very cool Kaleidoscope Pop-Socket. The Pop-Socket transforms the capabilities of any mobile device by offering a convenient grip, stand, or ear bud management system. Colorful and fun! Check out Tina’s website and become better acquainted with her design, photography, and mentoring services. We can’t wait to see how far this talented young artist progresses! Next Innovations: Walker, Minnesota is a small town located in the western part of the state about three hours west of the Twin Cities. Nestled near the banks of the Chippewa River, it’s the home of one of the country’s most vibrant manufacturers of wholesale home and garden decor … and much more! If you like to “design your own”, check out their sister site, MetalArtMaker.com. Here you’ll quickly and easily design your own metal art, organizers, wall art, and dozens of other products. Just upload your photo and personalized text and the company’s metal artists do the rest! Pictured is their Downtowner Collection, available in person at their Burnsville location as well as online. 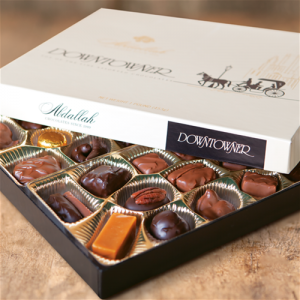 It contains milk and dark chocolates and the aforementioned butter toffee, cordials, and caramels. A wonderful and thoughtful gift from Minnesota that’s sure to be appreciated! Click through to their website and see everything this fourth generation family owned business has to offer. We make it a point to stop in every time we’re in the Twin Cities! Any Minnesotan will appreciate a gift of Pearson’s! We were fortunate enough to see where all the garments, packs, totes, and other Duluth Pack gear is made. This high quality gear is indeed Made in America and more specifically, proudly crafted in Duluth. Pay Duluth a virtual visit by checking out the Duluth Pack website – we guarantee it’ll make you want to visit this lively city on the shores of Lake Superior! As luck would have it, I ran out of shampoo while in Duluth and found a natural shampoo bar in one of the downtown Grand Marais stores. It’s made by local resident Hana Senty, who has a nice Etsy shop called Hands of Harvest. 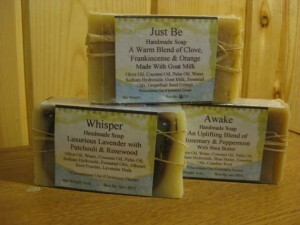 Hana also makes several other natural soaps, many featuring the scents of the North Shore. Invigorating, peaceful, and cleansing! 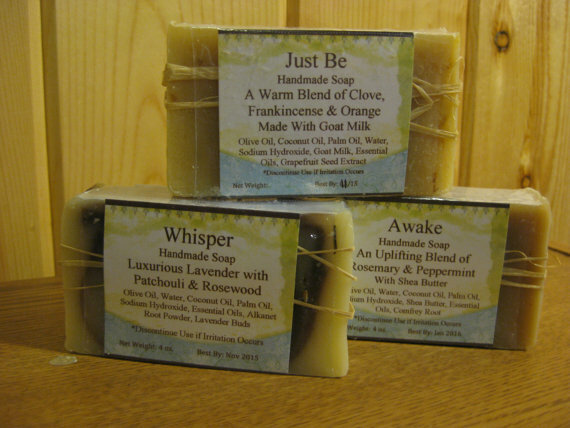 Try to visit Grand Marais if the opportunity arises – you’ll love it – and in the meantime click through to the Hands of Harvest shop to see all the different natural soap offered. Great for gifts! 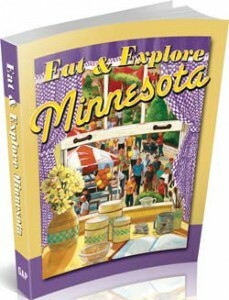 Eat & Explore Minnesota Cookbook: We love cookbooks which explore the unique cuisine of an individual state, and that’s why we’re pleased to tell you about this new 272 page volume from Great American Publishers. It’s the Eat and Explore Minnesota Cookbook, a collection of wonderful recipes from The North Star State along with tips on places to visit. There’s also an overview of some of the state’s most well known annual events, like the Detroit Lakes Polar Fest and the Greek Festival in Minneapolis. Some of the tantalizing recipes include walleye cakes, wild rice apple salad, smoked trout pate, and all kinds of baking recipes for desserts and holiday gatherings. A great economical gift for anyone who holds Minnesota near and dear to their heart, you can order this great new cookbook directly at the website linked just above. Enjoy the many flavors of Minnesota! Seventh and Stone: We’re convinced one of the most beautiful areas in the country is Minnesota’s North Shore. Stretching 150 miles from Duluth to the Canadian border, the scenery is spectacular. You’ve got the broad vista of Lake Superior on one side of your vehicle, and the Sawtooth Mountains on the other. Along the way, there are several charming towns hugging the shoreline, one of which is Two Harbors, just a short drive from Duluth. 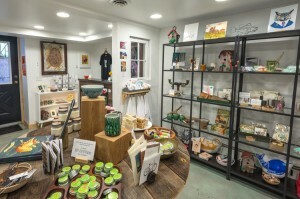 If you’re ever fortunate enough to be up this way, don’t miss a unique hand made goods shop called Seventh and Stone. if you can’t make it to Two Harbors, just click through to the shop’s website where you can shop online at their Etsy store. Earrings, necklaces, rings, and more await – a real touch of the North Shore! 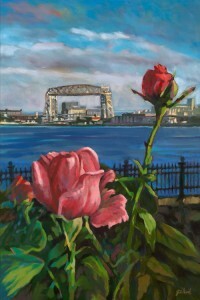 We particularly love the print pictured – it’s taken from the famous Rose Garden spanning back across the water to the Aerial Lift Bridge. A perfect visual memento from Duluth! 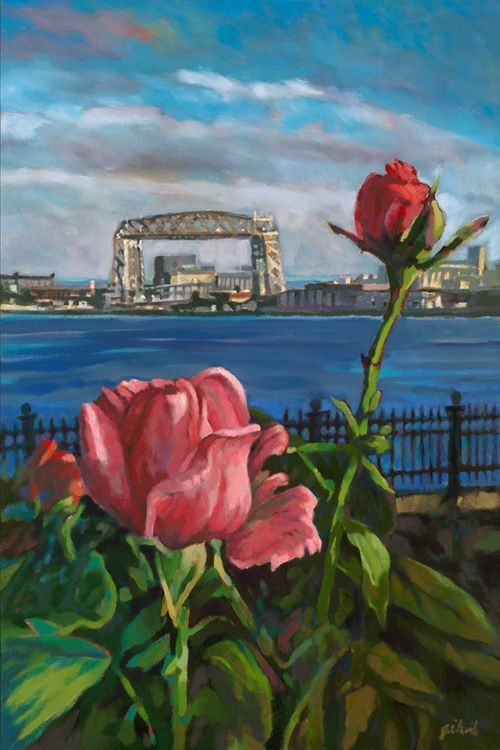 Check out the gallery’s selection online and be sure to pay them a visit whenever you’re in Duluth or beautiful Grand Marais. Two people are in the canoe with the person in the back using a long sturdy pole to guide the vessel through marshes, streams, and shallow lakes. The person in front uses a pair of smoothly carved sticks to pull the rice stalks toward the canoe and tap the seeded pod to knock the ripe grains into the canoe. Grains which don’t dislodge are left for a later harvest or fall into the rich water bed soil to seed next year’s crop. Real wild rice varies in color from green to shades of brown to black, depending where and when it’s harvested. The grains are irregular and make an attractive side dish. It cooks up just like long grain brown rice, in about 30 minutes and offers a distinct, nutty flavor. 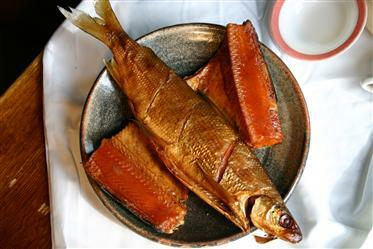 Wonderful with fresh fish! A gift that’s truly native to Minnesota and it’s very healthy for you too! 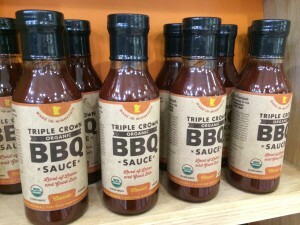 Thick, slightly sweet, and savory, the company packs in gallons three packs, and two bottle gift packages – perfect for the BBQ lover in your life. On their site, you’ll find a great recipe for Triple Crown Organic BBQ Wild Rice Bison Meatballs – now if that isn’t Minnesota we don’t know what is!! Knudsen’s Caramels is located in the heart of Red Wing on 3rd Street, about two blocks from the famous Red Wing Shoes. If you can’t find it, ask anyone in town and they’ll either tell you where it is or walk you over to it. Their specialty, as you might surmise, is hand made caramels … soft chewy, buttery, and bursting with flavor! But if you get a chance, visit Red Wing, stroll the town for an afternoon, and stop in for some fresh caramels at Knudsen’s. It’s a real slice of Minnesota and a real slice of Americana! We really like their Lemon Corn Bread Mix, a very easy to make treat which simply requires adding water and butter. 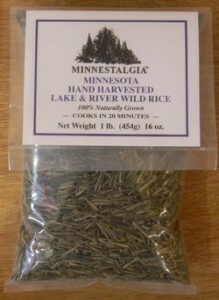 It’s one of over a dozen bread mixes available at their website, including a true Minnesota specialty, Wild Rice Bread. 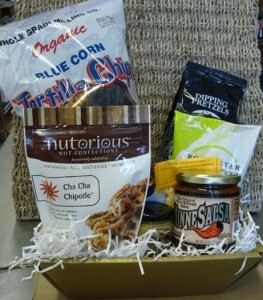 Studiwheat also offers a number of sample packages and gift baskets like the “Our Hometown” basket pictured. It contains Sturdiwheat products along with locally made caramels, chocolates, and a small Red Wing Pottery mug. A really nice gift from this charming Minnesota town! In a way, maple syrup is like honey and wine – it’s an artisan product whose flavor differs depending on where it’s sourced. As an example, syrup from the northeast will offer a different flavor profile than one bottled in the Upper Midwest. 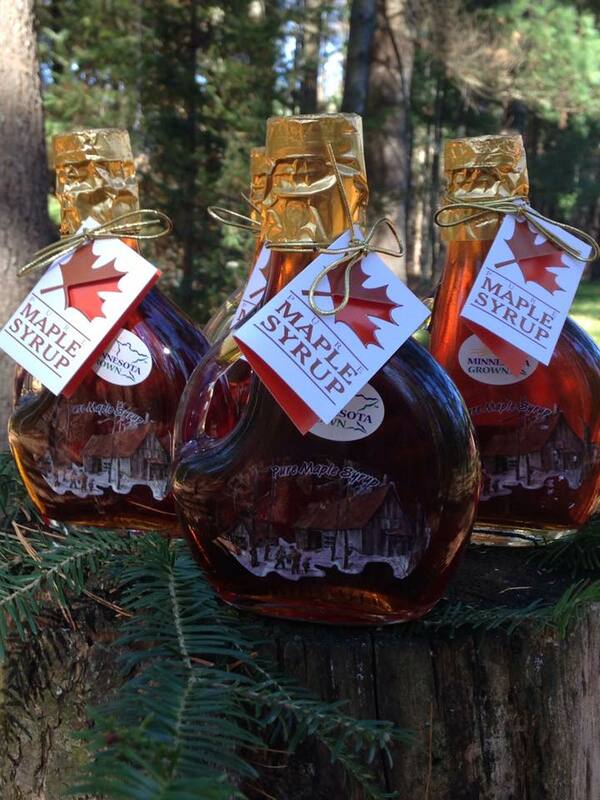 It’s definitely true that not all maple syrup is the same! Founded in 2010 on 40+ acres of red and sugar maple trees, Scarlet Jewel Maple Sugar Shack bottles their syrup in various sizes, from 1/2 pints to gallons. It’s a real taste of The North Star State! 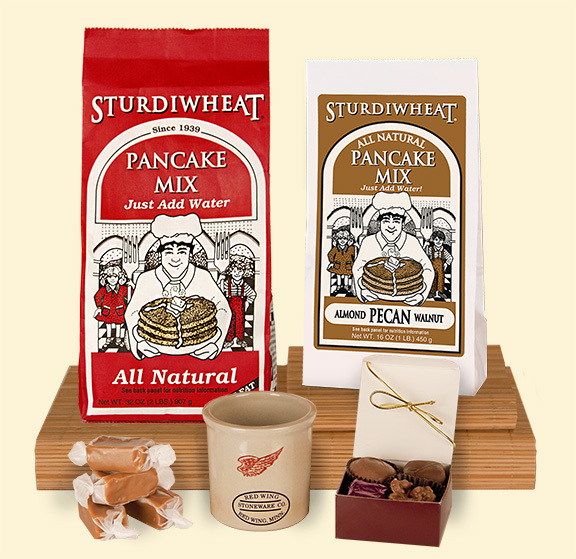 The link above goes to their Facebook page – you’ll find a link where you can buy the syrup online for yourself or as a sure to be appreciated gift. Enjoy! Norsland Lefse: About 35 miles due west of LaCrosse, WI you’ll come across Rushford, a small southeastern Minnesota town. This area is known for Norwegian-Americans and one of the more prominent stores in town is Norsland Lefse. Lefse, well known to Norwegians, is a tortilla like creation made of potatoes and commonly served for dessert, rolled up with butter, sugar, or jam. Norsland Lefse is one of the few places in America making this treat – it’s created right here in their factory. It’s very popular during the holiday season and is mail order shipped all across the country. 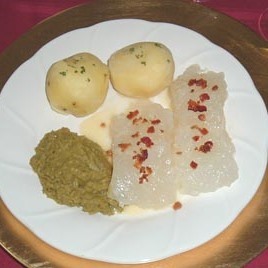 Their store features a number of traditional items in addition to lefse, including the famous Uffda Chips, which are similar to potato chips but a bit thinner. They’re actually made with lefse and delicious! 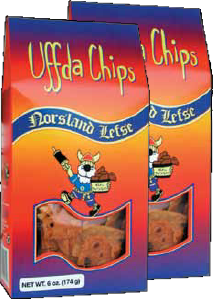 Click through to the Norsland Lefse website to see all they’re creating and carrying, and don’t forget the Uffda Chips! 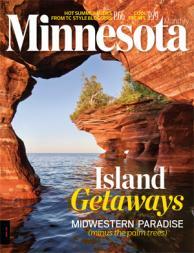 Along the way is the beautiful small town of Grand Marais, an ideal place to relax and unwind for a few days. This small town of about 1,300 is home to a small company called Superior Salt. 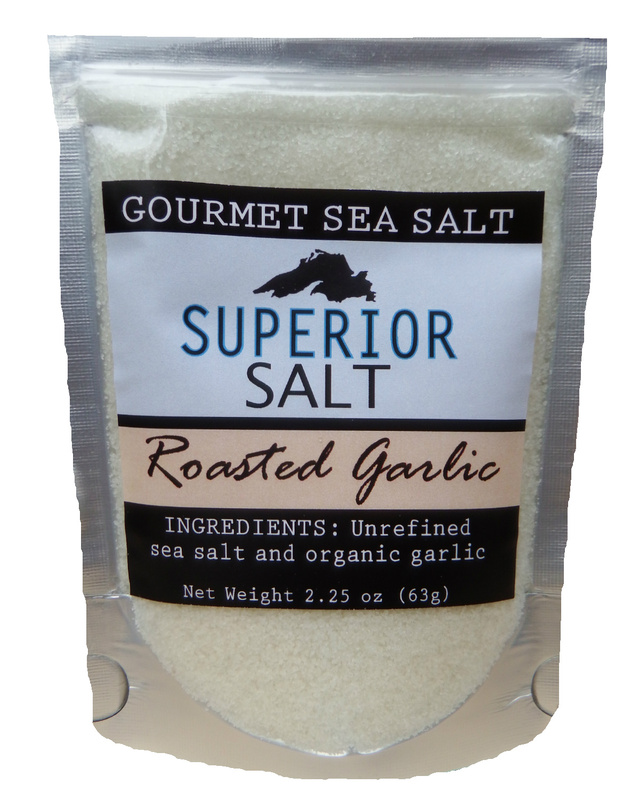 They process sea salt and infuse it with flavors reflecting the Lake Superior and North Shore environs like Lavender, Roasted Garlic, Blueberry, Grilled Onion, and more. We love using sea salt as a seasoning agent for many of our dishes. It’s very concentrated (and all natural) so a little goes a long way. Use it in soups, wraps, and stews for a special burst of flavor. 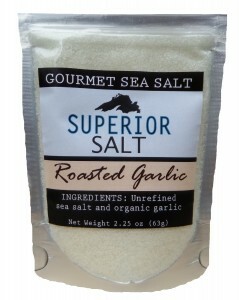 It’s an excellent finishing salt for any rice dish, and it’s particularly helpful for livening up plain white rice. If you’re like us, once you use sea salt, you’ll never go back to standard table salt again. A gift that’s sure to be appreciated, direct from Minnesota’s North Shore! Using only natural ingredients, Cookie Temptations hand rolls, cuts, and designs freshly baked sugar cookies for special occasions or just for a special treat! Seasonal themes and personal occasions like birthdays, baby showers, and anniversaries are just some of their specialties. 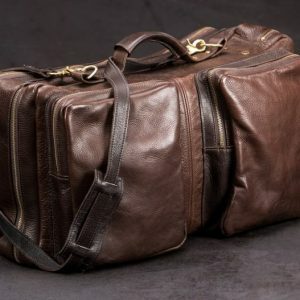 Corporate gifts are available as well and their in house designers are happy to create something truly unique. Click through to their website to see all their creations, like the Birthday Celebration cookies pictured. 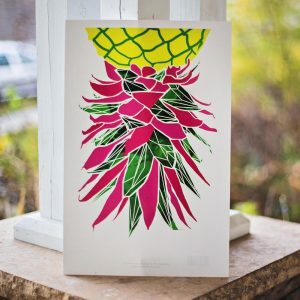 They’ll ship nationwide and many of their most popular designs are beautifully displayed in their online store to exemplify their unique creative work! 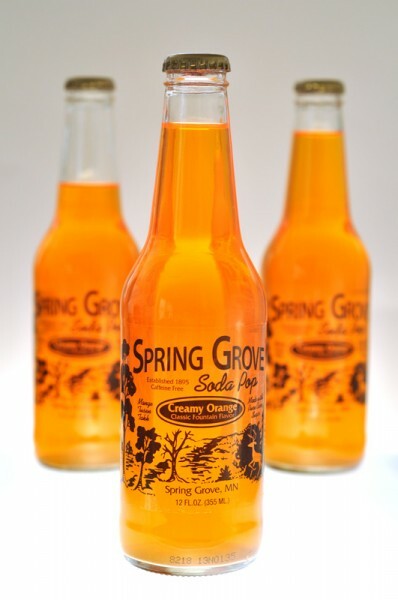 Spring Grove Soda Pop: The town of Spring Grove is located in the extreme southeast corner of the state, not far from the borders of both Iowa and Wisconsin. The town is the oldest Norwegian settlement in the state, founded in the 1850’s. Spring Grove’s oldest business, stretching back well over 100 years, is the Spring Grove Soda Pop company. This small company used to only distribute their flavorful sodas in a limited geographical area in Minnesota, Iowa, and Wisconsin. They now have a handful of distributors in other states, although Spring Grove Soda Pop is not commonly seen in standard grocery store shelves. Fortunately, it can be purchased online, and there’s a link to do so via the “Contact Us” page on their site. The company makes ten flavors in all – Strawberry, Root Beer, Orange, Black Cherry, Lemon Sour, Creme Soda, Lemon, Grape, Rhuberry, and Orange Creme. The Lemon Sour flavor is great as a mixer in alcoholic drinks like a Vodka Lemonade. The Orange Creme is our favorite though … it tastes just like a Dreamsicle and has a pleasant vanilla flavor. Spring Grove’s most well known variety is their Rhuberry. As the name implies, it’s a mixture of rhubarb and strawberry flavors (sweet and tart) and is served at many rhubarb festivals in the Upper Midwest. 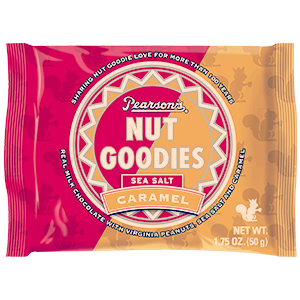 Whatever your favorite flavor, you can order it online, so click through to their site to get some! Duluth is a delightful city to visit, and one must see foodie stop is located right on the shoreline. It’s the Northen Waters Smoke Haus, a small shop serving up some of the best smoked fish, meat, and sandwiches you’ll find anywhere. They’re well known for their smoked pork, bison pastrami, ham, local fish, and more. If you’re ever in Duluth, plan to stop here – their sandwiches are positively awe inspiring! If Duluth is a little out of your way, the Smoke Haus ships all over the country. In our estimation, one of their best gift packages is the Lake Superior Gift Box, shown. It’s quintessential Duluth and includes two chunks of Lake Superior smoked trout and one whole smoked whitefish – the perfect Minnesota themed gift for someone you really want to impress! Kin Samuelson, owner of the company, was working at RBJ’s (her dad’s restaurant) making a batch of her grandmother’s rhubarb-strawberry spreadable fruit one day when a few customers noticed the aroma and asked for a taste. Soon, the spreadable fruit was being sold in jars as a side business within the restaurant, then ultimately blossomed into an endeavor of its own. Now, the company’s line of spreadable fruit, jellies, syrups, and more are featured in gourmet and gift shops all across the country! You can order any of the RBJ’s products at their website, where they also offer an extensive variety of gift packs and baskets. Enjoy the fresh flavor of northwest Minnesota! 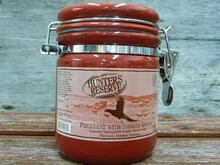 Pictured is Hunters Reserve Pheasant and Smoked Gouda Cheese Crock. Ideal as an appetizer spread, it contains smoked gouda cheese along with diced piece of pheasant summer sausage. Similar spreads are available with bison, venison, and elk. Uniquely Minnesota pantry items are also available at their website, like traditional wild rice, six grain fish batter mix, and several different wild rice pancake mixes. Any would make a wonderful gift! 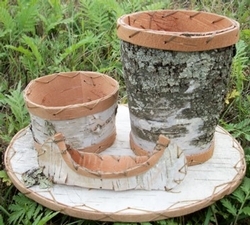 As you can see, pieces are glazed to create a landscape view. 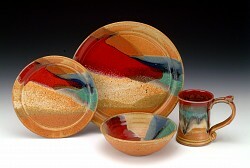 Each piece is one of a kind, and inscribed with the word “Ulmer” underneath, identifying it as genuine Ulmer Stoneware. You can order these pieces via the Ulmer Stoneware site – an ideal gift for loved ones that will last decades and beyond! Ulmer Stoneware will ship anywhere in the country – check their website for more details! Each issue is filled with beautiful photography from around the state and is an indispensable guide to everything you need to know about Minnesota. Gift subscriptions are available online at their website and they are sure to be appreciated! It’s a fun place to browse and shop, especially if you’ve got an appreciation for the Nordic heritage. Even if you’re not, it’s a must see Twin Cities shopping experience! Be sure to check out their site to see all their unique products, or better yet, pay them a visit in person on Lake Street in Minneapolis! Pub Crawl Caramels come in four different sized gift boxes, from eight caramels to the recommended one pound box which has 32 caramels, eight of each flavor. 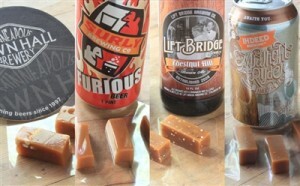 It’s a great and unique gift for anyone who enjoys beer as well as caramels! Take a look at all the Sweet Jules Gifts products and gift ideas at their website … cheers! 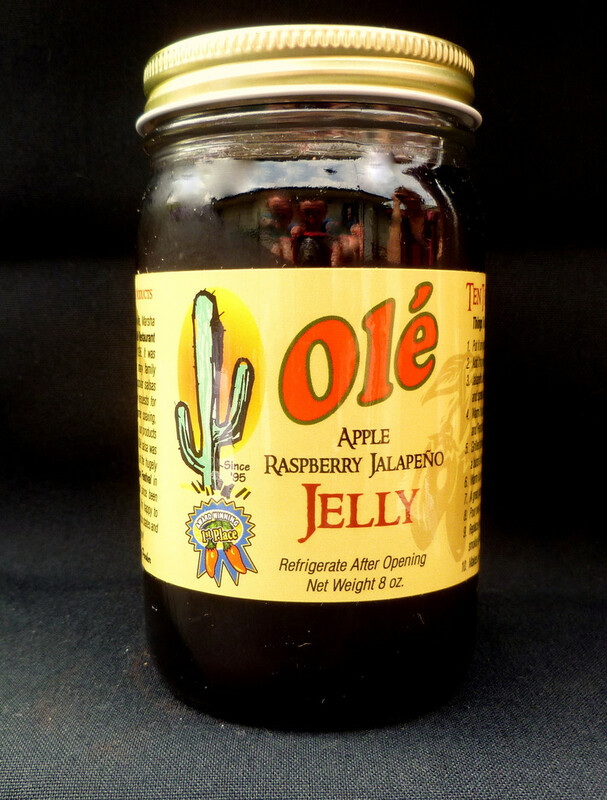 Ole Products can typically be found in stores in the Upper Midwest, or directly from their online store. 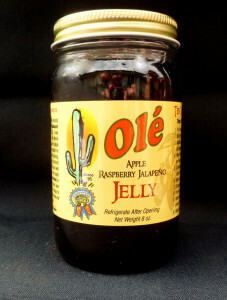 We are partial to their jalapeno jellies, which make a great appetizer when mixed with softened cream cheese. Choose from Lime, Apple Raspberry, Cranberry, and a Four Berry sugar free variety. We love the apple raspberry flavor, which blends wonderfully well with the jalapeno kick! You can also try their signature salsa, jalapeno pickles, and olives. Order a jar of any for yourself and another as a gift! 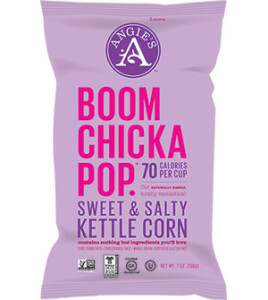 If you can’t find Angie’s Popcorn in a store near you, order it online at their website as a gift or just for your family! You can buy any of the flavors in family sized bags, snack packs, or 12 packs. A nice gift from a beautiful part of Minnesota! 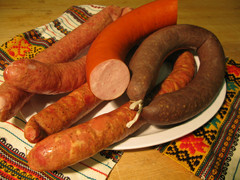 We love their Smoked Ukranian sausage … made with pork, black pepper, and cloves. It can be served warm or cold (we prefer gently heating and serving on a sausage bun with mustard) and it’s one of many varieties you can order at the Kramarczuk online store. A good way to try several varieties is via the Grilling Sampler … you’ll enjoy Andouille, Bratwurst, Kielbasa, and Kramarczuk’s unique Chicken Apple sausage. The sausages are fully cooked – just finish them on the grill and serve! Any of Kramarczuk’s sausages make a great gift from Minneapolis … visit their site and taste the tradition! 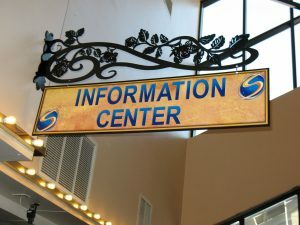 The Center is an interpretive facility to help educate the public about these beautiful birds and help eradicate ongoing threats to their species. 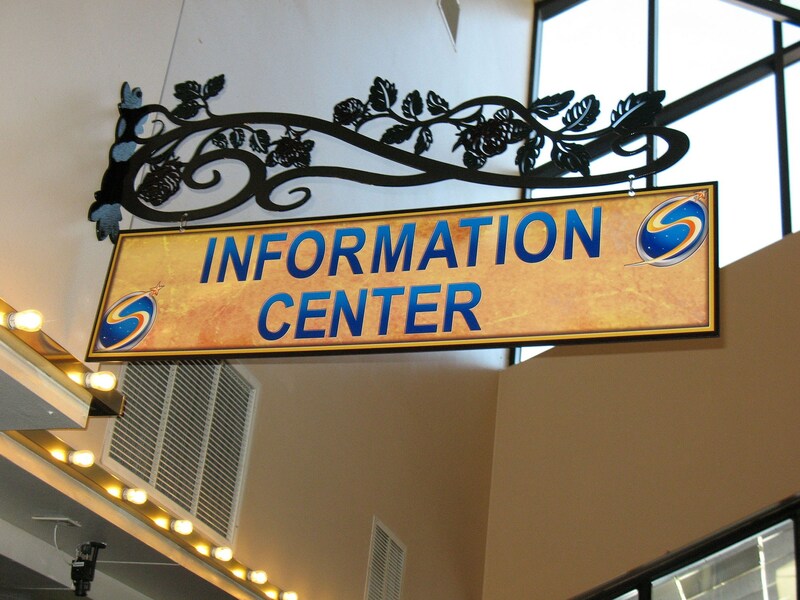 Live eagle programs are held daily for visitors and feature the Center’s eagles who are permanently housed here. These eagles have been taken in due to injuries preventing them from surviving in the wild, and they love to demonstrate their abilities and talents! Be sure to click through to their site to meet the eagles and learn their individual stories! MinneSalsa: Called “The Original Micro Brewed Salsa”, MinneSalsa is a small company located in Hugo, MN. The slogan isn’t meant to imply there’s beer in the salsa … just that the salsa is created in small batches with high quality ingredients, just like a micro brewed beer. The chunky, hearty salsas made by MinneSalsa come in mild, medium, and hot varieties, as well as a Black Bean and Corn variety. The hot version contains jalpenos, habaneros, and serrano pappers. The medium, our favorite, contains a bit of brown sugar to balance the peppers. Use the Black Bean and Corn Salsa as a warm accompaniment to tortilla chips (ideal for nachos!) or spoon a bit into your chili or stew recipes. In addition to traditional salted, they offer Blazin’ Buffalo, Dill Pickle, Bloody Mary, and Tangy Ranch. 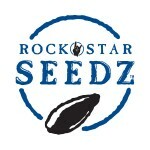 Lots of tasty options for sunflower seed lovers! 7). Located northwest of Grand Marais, Eagle Mountain is Minnesota’s highest point at 2,297 feet. 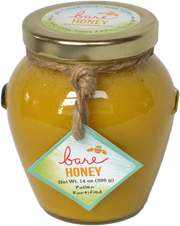 Bare Honey: Pictured is a product from Bare Honey of St. Paul, MN. It’s a spreadable raw honey which is infused with wild pollen collected by bees. This type of natural, organic honey is reputed to be one of the best combatants of seasonal allergies … and because it’s spreadable, it’s easier to use. Bare Honey is proud to tout their honey as “beyond organic”, meaning there are no chemicals, pesticides, or antibiotics utilized anywhere in the process, from hive to jar. This small family run outfit creates several unique honeys, including a Hot Honey which is infused with smoked chile peppers. Several different gift boxes are available, and they offer a unique “Adopt A Hive” program which allows the adopter to follow along with the honey creation process without having to do the work! If you’re not a fisherman, you can have fresh fish fillets shipped directly to your home or as a gift by Walleye Direct, a fish processor from Minneapolis. They even ship beer battered walleye fillets … all you have to do is heat them up! Bison Gal offers other unique meat cuts as well, including wild boar and elk, in the same types of choices as bison. 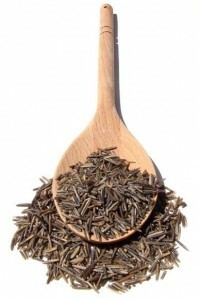 Wild rice cooks similar to long grain rice … it takes about 20 minutes. The flavor is richer than typical rice – it has a nutty, almost sweet flavor and it makes a great side dish. 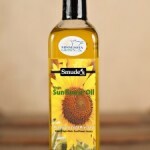 Some of the Daisy Blue catalog includes lotions, soaps, baby products, foot care items, and much more. You can check out their products at the Daisy Blue online store. The company has a business model similar to Mary Kay and Avon, so there is a business opportunity section of the site as well as a product side. Go natural, direct from Minnesota! Red Nation Foods started out as a producer of wild rice and have significantly added to their offerings over the past decade. Some of the product mix includes wild berry jams, syrups, snacks, and Native American herbal teas. 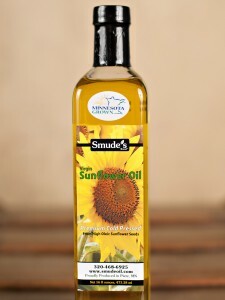 Located near Little Falls, MN Smude’s Sunflower Oil is a family owned producer of sunflower oil. The sunflowers are grown and produced locally on the family farm. It’s available in several varieties and sizes, and you can order directly online. 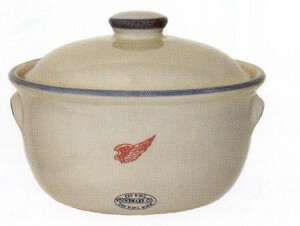 One of Red Wing’s most well known businesses is Red Wing Pottery, who are notable for their pottery creations. 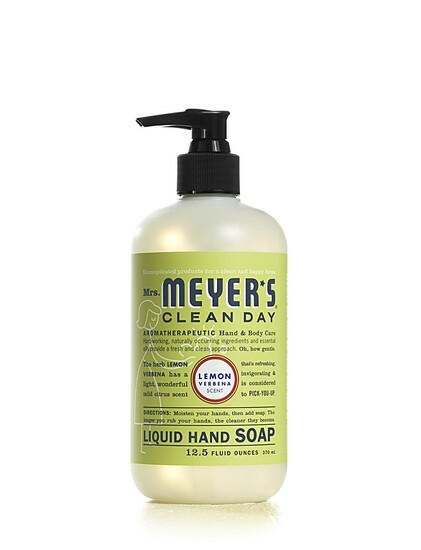 The company has been in business in Red Wing since right after the Civil War … almost 150 years. Back in the late 1970’s, my dad used to stock our family refrigerator with Schell’s flagship beer, known as “Deer Brand”. I’d never heard of the beer, but after some time grew to love it. It’s an American lager that’s light on the palate with a unique slightly sweet finish at the end – not at all bitter like some lagers. I still drink it any time I can get my hands on it. As I recall, my dad used to buy a case of Schell’s long neck returnables for $4.99! You can’t order Schell’s beer online, but you can show your good taste in a variety of t-shirts, hats and sweatshirts via the Schell’s Brewery Gift Shop. The brewery has been around since 1861, and even survived an attack from Native American tribes early in their existence. The founder, August Schell, made friends with the American Indians, and Schell’s is still making friends today. Visit the brewery if you get the chance, and try their many wonderful beers. I hope you become as fond of Schell’s as we did! Gedney also packs pickles for Del Monte at their Chaska plant. 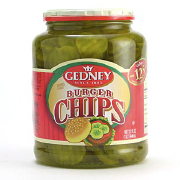 You can buy many of the Gedney products right here … there’s a three jar minimum order but that shouldn’t be a problem … these pickles tend to go fast! 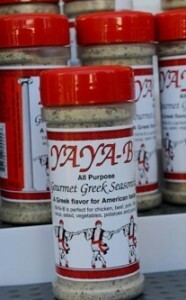 YaYa-B Seasoning of Rochester, MN created a seasoning mix from a family recipe which gives a tasty Greek flavor to any type of dish. We use it frequently on pork, fish, and chicken. Their website suggests sprinkling it over hashbrowns … we’ve not done that yet but we have sprinkled it on eggs! Your best bet to get some YaYa-B is to order directly from their website. We’re not sure how widely it’s distributed, so save yourself the hassle of looking! YaYa-B makes a great gift for anyone who likes to cook … and anyone who likes to eat! Lake Superior Agate Jewelry: The Lake Superior Agate is Minnesota’s state gem stone, so what better gift for someone special who holds a special place for the North Star State in their heart than jewelry made from this beautiful stone? Lake Superior Agate is typically found along the shores of Lake Superior. It offers deep rich colors, the result of being stained by iron deposits. Marie Burgess of northern Minnesota collects these beautiful rocks locally and turns them into lovely pieces of jewelry. 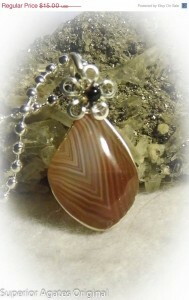 She has set up an Etsy shop which you can find here: Lake Superior Agate Jewelry. Prices are surprisingly reasonable! Truly a one of a kind gift from Minnesota! Worker-B Rescue Putty – Great Stuff! Unique Art Pendants Bracelets: Decorative artist Molly Spillane of Minneapolis creates beautiful bracelets inspired by scenes from nature. 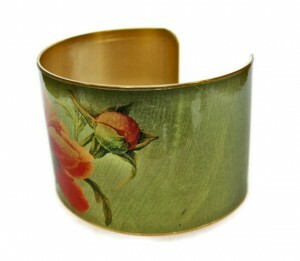 They’re brass cuff bracelets, perfect for accessorizing just about any outfit. Browse Molly’s collection at her buzzing Etsy store at Unique Art Pendants and join this cool fashion trend … she has sold over 12,000 items!